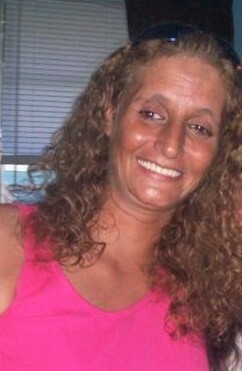 Diana Sprouse Wright, age 46 of Wellsville, OH passed away Wednesday, February 6, 2019 at her home surrounded by her loving family. She was born November 11, 1972 in Salem, OH. Diana is survived by her husband, Daniel “Danny” Wright whom she married December 5, 1998; sons, John Richard (Illiana) Sprouse and Daniel Wade Wright, Jr all of Wellsville, OH; daughter, Starlynn Dutchess Morris of Youngstown, OH; granddaughter, Kharma Diana-Rose Morris; sisters, Beverly (Roger Chisolm) Mobley and Iva Jean (Ralph) Van Dyke all of Wellsville, OH; nieces and nephews, Jerry Cornealius Brown, Mildred Ilene Phillips, Melvin Mobley, Jr., Dana Mobley, Gary Mason, Jr., Shawn Mason, Belinda Sue Smith, Crystal Dawn Bailey, Diana Jean Schada and Anntoinette Schada. A celebration service of Diana’s life will be held 11 A.M. Tuesday, February 12th at the funeral home with the Reverend Kevin Rinkes officiating. Interment will follow at the Sugar Grove Union Cemetery, County Road 68, Toronto, OH.